The The Night of Broken Glass – Kristallnacht pedagogical tool accompanies the short documentary produced by the Montreal Holocaust Museum. Students will learn about the pogrom known as the Night of Broken Glass, which took place on November 9 and 10, 1938 in Germany. Kristallnacht is an important historical event that marked the destruction of 267 synagogues and an intensification in the persecution of German Jews. Jewish businesses, community centres and homes were also looted and destroyed. The accompanying film presents the stories of four Holocaust survivors who witnessed the events of Kristallnacht. With the guidance of discussion questions, students will reflect on the consequences of these violent antisemitic acts. 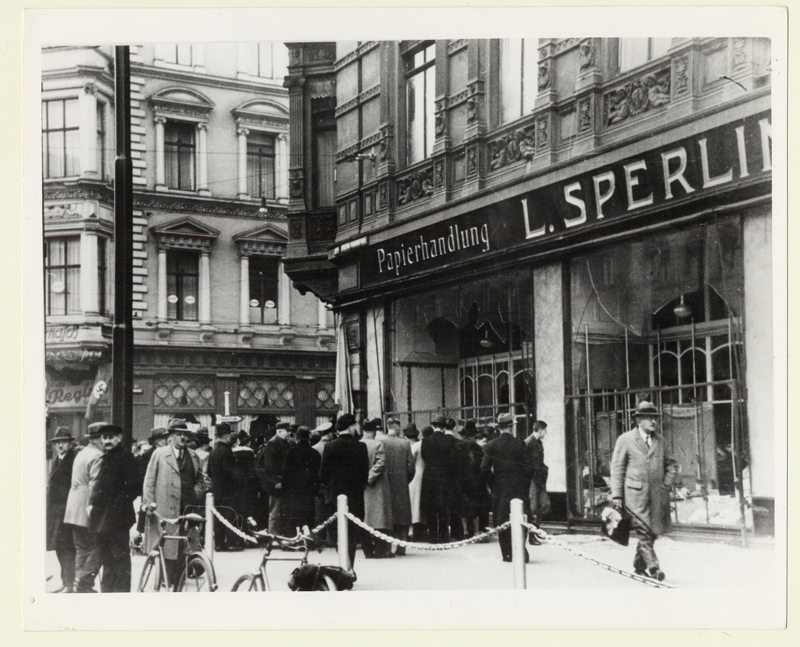 The The Night of Broken Glass – Kristallnacht pedagogical activity is available online free of charge. Click on the download links at the bottom of this page for this activity. The Quebec activity can be used for all Canadian provinces/territories. 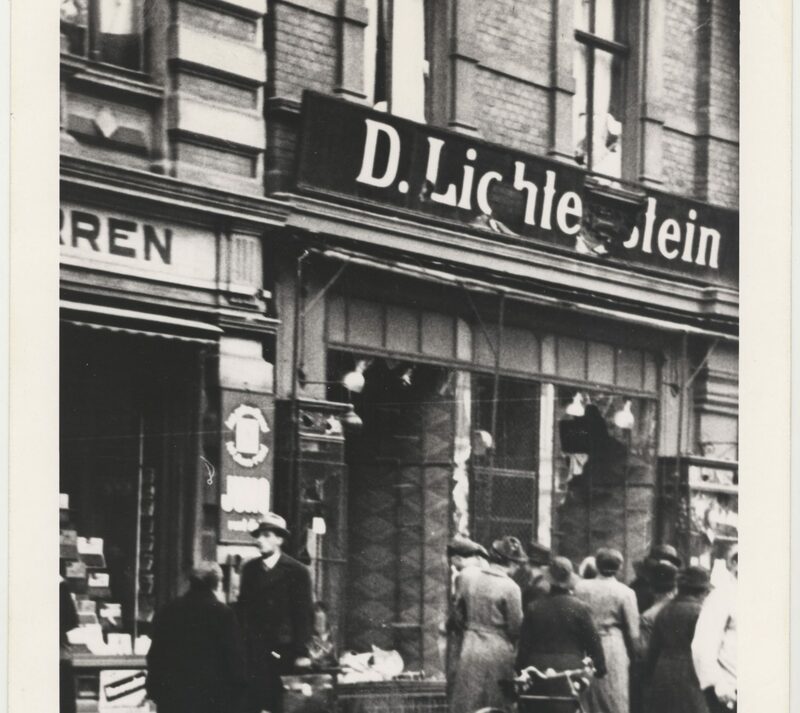 This photograph shows a Jewish storefront that was vandalised during Kristallnacht. People are looking inside the broken window under the name “D. Lichtenstein”. 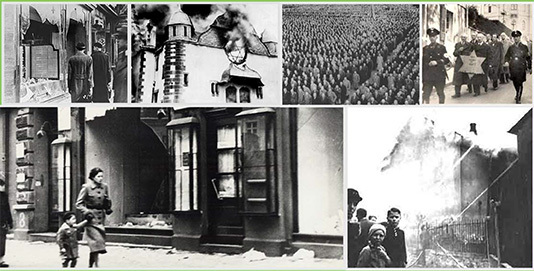 These photographs were taken on November 11, 1938 in Magdeburg, Germany. Kristallnacht or the “Night of Broken Glass” is the violent antisemitic pogrom of that took place on November 9-10, 1938 in Germany . The name refers to the broken glass of Jewish stores and synagogues that were vandalised and burned during that night. Enrich your lessons about the Night of Broken Glass and other antisemitic pogroms by using survivor testimony. On our website page Survivors’ Stories, select the following themes: Early Persecutions and Pogrom. 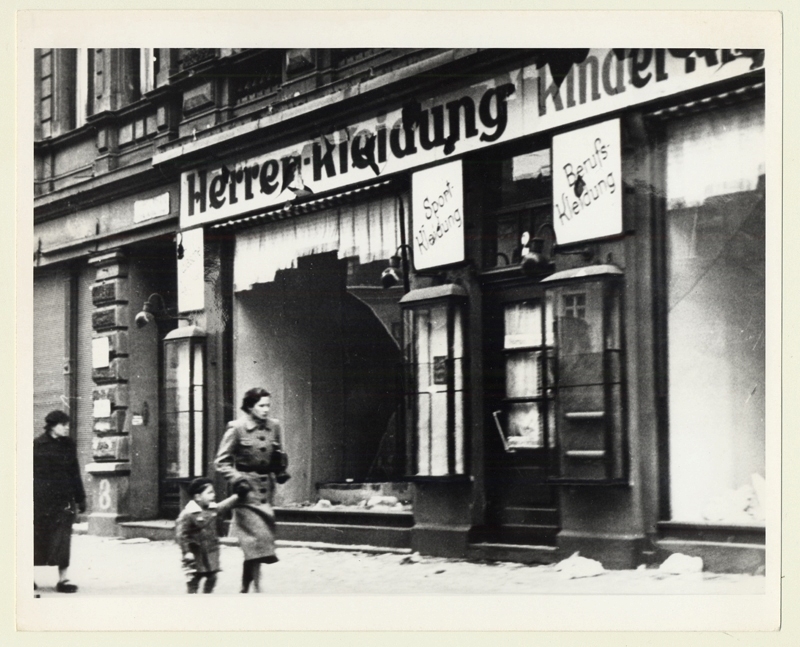 Your class can also study a photograph taken after Kristallnacht. To learn more about the Holocaust and antisemitism, read the A Brief History of the Holocaust reference guide.